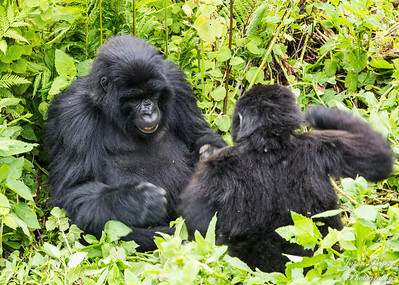 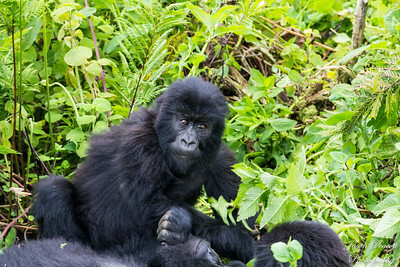 Deep in the Virunga Mountains at the Volcanoes National Park in Rwanda live the few remaining Mountain Gorillas in the world. 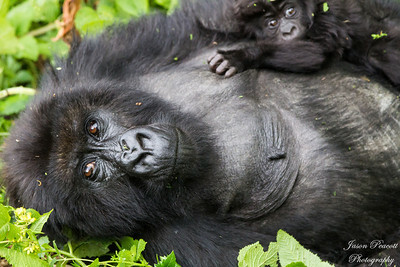 They are a critically endangered species, with only a little over 1,000 remaining in the wild. 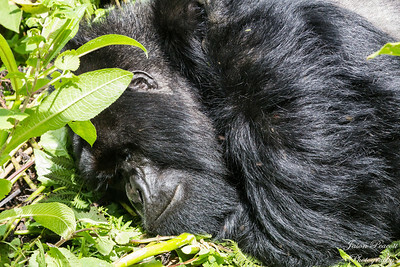 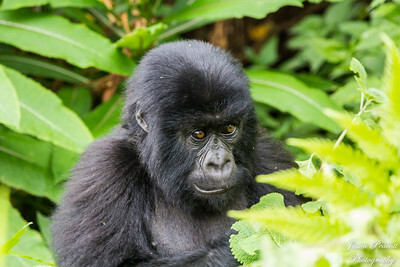 The Gorillas climb deep into the mountain jungles between 8,000-14,000 foot elevations and can eat up to 80 lbs per day in pure vegetation and leaves. 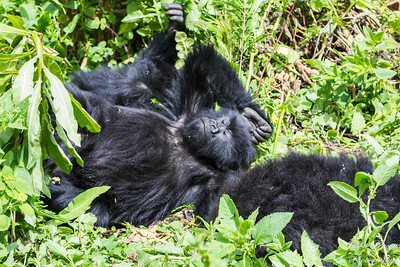 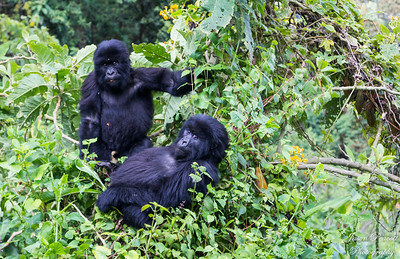 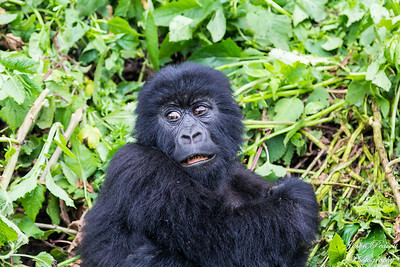 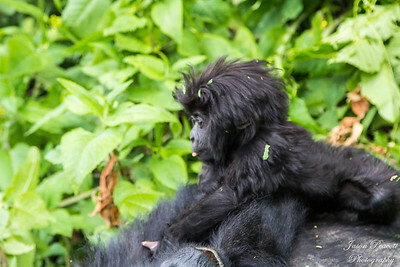 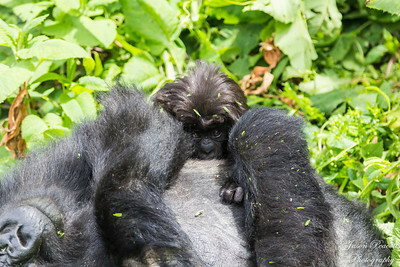 We hiked to see the Umubano Gorilla Troop, which was a family of around 14 gorillas. 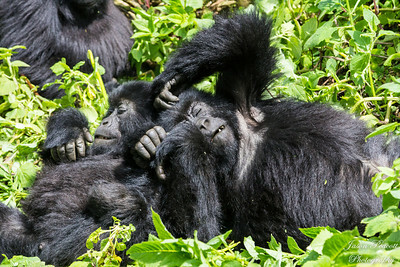 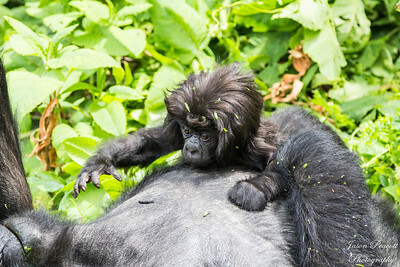 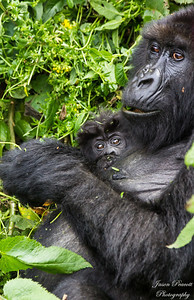 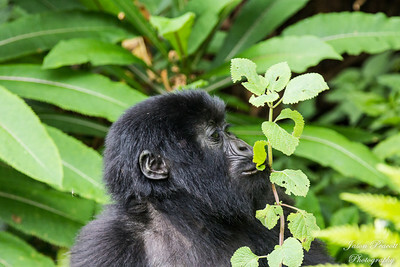 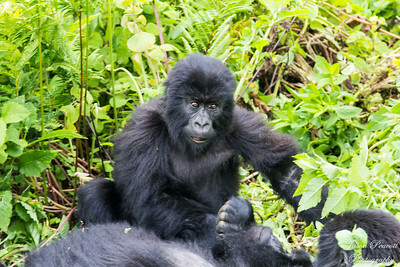 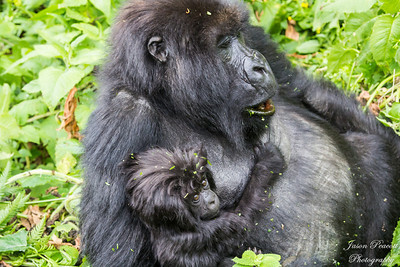 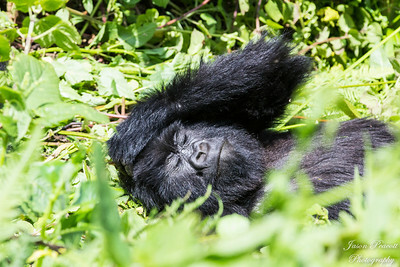 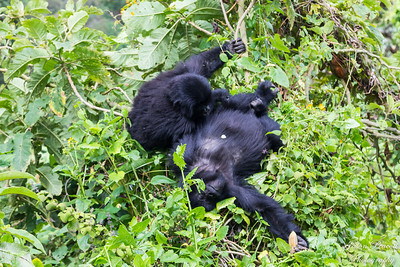 They had 2 silverback males, a few blackback adult males and females, 3 playful young juveniles and a 3-month old baby. 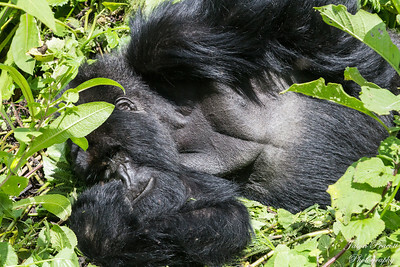 The trek was quite the hike - 6 hours of machete slicing and climbing through thick jungle vegetation, no trails, lots of stinging nettles and thorns. 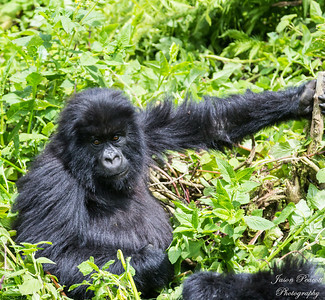 But at the end, you get the incredible experience of seeing the gorillas from less than 10 feet in the wild in their own habitat.